Gain powerful insight into your checkout pages with a built-in version of Google Analytics from Yahoo Small Business implementation. The basic package includes 18 pre-built events such as coupon usage, button clicks (keep shopping, checkout, remove items), related items usage, badge usage, checkout errors/warnings, paypal vs credit card usage and many more. The custom package can include any other events that we need to report for your checkout pages, for example, if Amazon Pay button was used or specific field is selected and etc. Quote will start from base price. Please send us brief message. 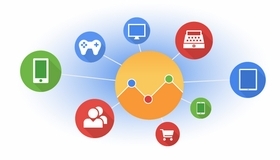 Get even more detailed insight into visitors activity on your website.